The first medical marijuana facility in Center City Philadelphia opened on Thursday morning, 1/24. Beyond/Hello is located at 12th and Samson. It is the first dispensary licensed by the Pennsylvania Department of Health to open downtown. There are about 50 other licensed facilities statewide. The same company also owns one in Bristol, Bucks County. You need a valid Pennsylvania medical marijuana card to enter the facility. There are trained medial staff on site to assist customers. Company president Blythe Huestis says they carry all "lab certified and state-approved products, including dry leaf (flower), concentrates, oil cartridges, capsules, hard concentrates, tinctures, topicals, batteries, chargers and more." They do not have edibles because they are not state approved. 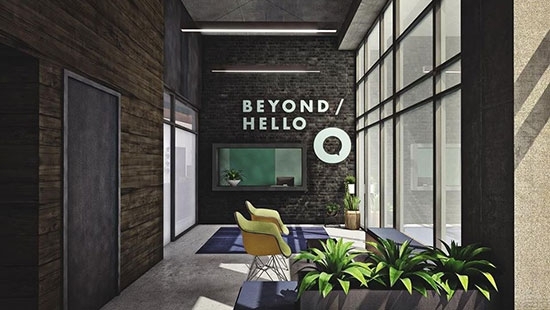 Beyond/Hello has plans to open 5 more dispensaries by this summer. A man was shot and injured on Rt. 309 near the Fort Washington Interchange in an apparent road rage incident Wednesday evening, 1/23. It happened around 9:30 p.m. in the northbound lanes of Route 309 in Whitemarsh Township, Montgomery County near mile marker 4. The 63-year-old victim switched lanes from left to right to exit onto the turnpike interchange. He says that's when a maroon sedan with New Jersey plates sped passed him on the right shoulder. The driver of the sedan fired a shot that hit the victim in the right arm. He was able to continue driving and parked in the turnpike interchange parking lot before calling for help. He was taken to Abington Memorial Hospital in stable condition. There was another incident nearby on the Turnpike itself a few hours earlier where a worker's truck was shot. The bullet when through the windshield, knocked off the GPS, and then out the back window. He was not injured, but only by a matter of inches. Anyone with information on either incident should call police. There is a $4,000 reward for information that leads to the arrest and conviction of a man wanted for the armed robbery of two Delaware County Wawa stores this month. The latest robbery happened this past Sunday, 1/20, at 6:45 a.m. The man entered the Wawa store at 201 South Bryn Mawr Ave. in Bryn Mawr. He demanded cartons of cigarettes and implied that he was armed, keeping his hand in his pocket. The man left with three cartons of Newport 100s and two cartons of Marlboro Red in a plastic Wawa bag. He fled in a dark-colored sedan. 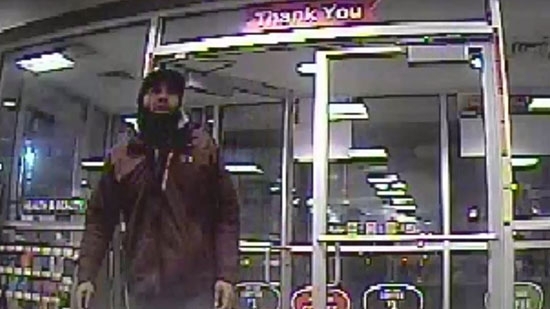 Police believe the same man committed a similar robbery at a Wawa in Upper Darby on January 2nd. The reward is being offered by Radnor Township and Wawa. Anyone with information is asked to contact Radnor police at 610-688-0503. See pictures of the suspect from surveillance cameras below.